← Do You Have the Best Auto Insurance for Your Needs? 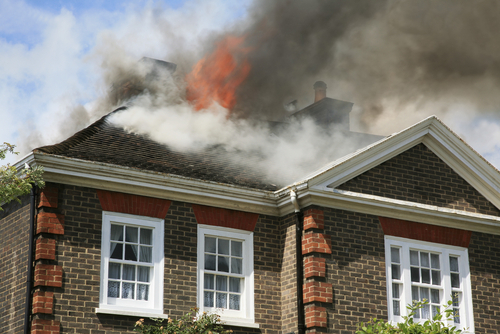 According to the United States Fire Administration, over 3,400 people die each year due to a fire at home. 17,500 additional people will be injured in some way due to the same set of circumstances. Even if you think that you’ve taken every precaution imaginable, fire is a very real concern that you should always be aware of on a regular basis. The key to fire safety and prevent involves taking a proactive approach on an ongoing basis to make sure that your habits are conducive to the safest possible environment for both you and your family members. Keep matches, lighters and all other types of materials out of the hands of children at all times. The risk for accidental burning is far too great, and it can result in an accidental fire. Check all smoke detectors at least four times a year to make sure that they always have functional batteries and are operating to expectations. Keep functional fire extinguishers in or near every area of your house at all times. One of the most important fire safety and prevention tips doesn’t necessarily have to do with flammable materials but with items that can cause a fire due to electricity. Fire Safety Journal indicates that, in an average American home, it is common to see a huge entertainment center complete with video game consoles for the kids, Blu-ray players for the adults, high definition television sets and more. Each one of these devices will be connected via a series of cords, connecting both one device to another and each device to a power outlet. If these cords become tangled, they pose a very serious risk for a fire that could break out at any moment. Overloading a surge protector or wall outlet can create the same type of risk, even if you don’t realize it. Additionally, Fire Safety Journal indicates that cords that are strewn about the floor and are generally unkempt also pose a very serious fire risk. If your child is running through the house and trips over the cord to your television set, for example, that cord could be violently pulled out of the outlet and could start a fire. Always make sure these types of cords are in a fixed position and well out of the way of any foot paths. Another important Fire Safety Journal tip involves making sure that you’re replacing mattresses in your home that may have been made before 2007. The Federal Mattress Flammability Standard was established in 2007. Since then, all mattresses have been designed to be as fire resistant as possible. Any mattresses that you may have purchased prior to this time are not in keeping with the new standard and may pose a very serious risk for a home fire. Have more questions about fire or home safety? Contact one of our knowledgeable insurance agents via phone or email, or stop in our Lodi or Tracy office!